Divine Sisters fourth painting/drawing in our 40 painting/drawing/poem collaboration. I would like to say that collaborating with Reynaldo is a joy and great honour because he is a brilliant artist and wonderful person. 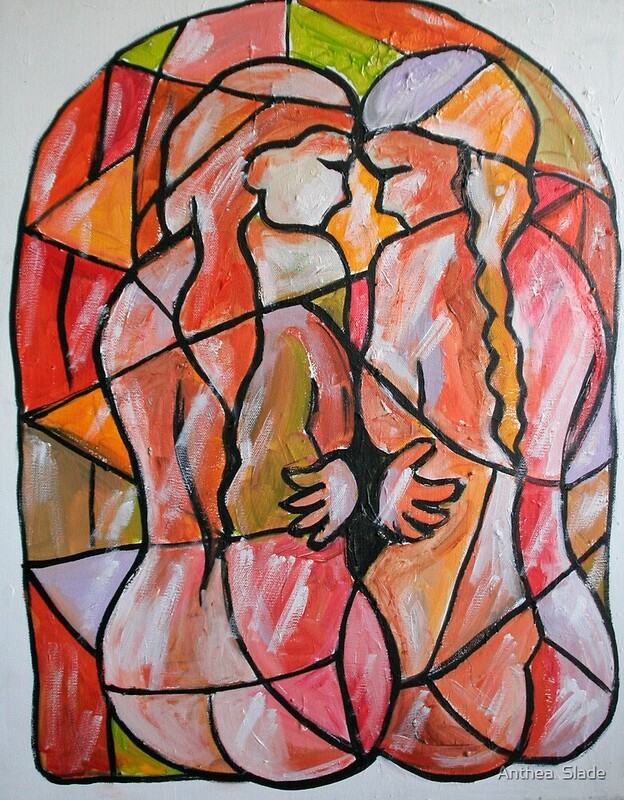 My drawing Soul Sisters was inspired by Reynaldo’s beautiful painting of two sisters chating closely together at a day spa. Please enjoy our Tribute to Womanhood Series. Thank you my dearest Brigitte. Yes it is a bold undertaking this Tribute to Womanhood that I have undertaken with Reynaldo. But it is very enjoyable and he is a great person and brilliant artist to collaborate with. Thank you for your beautiful words you made me smile dear friend. Thank you so very much Cassidy. So glad that you liked Divine Sisters. Thank you so much Sandra for accepting Divine Sisters into the Acrylic Group. Thank you so much my lovely friend Bev. And I am sure Rey thanks you too. Thank you so much Antanas. Thank you so much my friend Louise. Thank you so much my friend km. I should say that there is all hearts in your painting. I am touched by the colours pastel and sweet where it is conceived an innocence that Reynaldo’s still have but it is driving me to consider love of two young women, sisters hat heart, but sensually attracted. There is a clear “chatting mood” in yours..you can feel their mouths moving…and in Reynaldo’s there is a hidden silence, complicity that is about to burst into open passionate love. Both are complementing…a couple is a collision and a blending at the same time. Either we collapse like a lost star…either we blend and create an eternal comet trail..of unimaginable length. And remain expectant about what or when the “third” will emerge from that. Wow dear Rosa what a captivating, insightful and beautiful comment. So love the way you see and your inner knowing. You have made me look at my own drawing and Rey’s painting with new eyes. I truly appreciate your beautiful comments very much. Have a wonderful week my friend Rosa.